I have recently discovered my inner ‘Nanna’ and have learnt how to crochet. 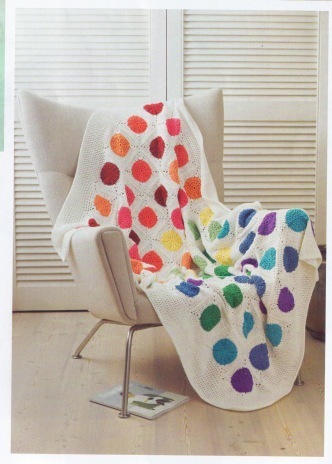 In my head I always pronounce crochet as Kro-chet. The story goes, that I was at an all-day set of workshops and talks by tens of incredible and talented women. Seriously – Ita Buttrose was one of the speakers (and she was awesome by the way!). But it got a bit much by lunchtime and I seriously needed to do something with my hands. So I headed down to the closest shopping centre and bought some nasty acrylic yarn (I can’t use the word wool) and a bamboo crochet hook. The hook was worth more than the yarn. Now at this time I did not know how to crochet. However I was keen as mustard, carrying my little plastic bag back through the gates of the Event location. I figured that YouTube would supply me with the ‘how’. After about fifteen minutes of surfing YouTube I came across the fabulous Jayda In Stitches. She was so easy to understand, her videos were clear and every step of the process was uber easy to follow. Yay Jayda! 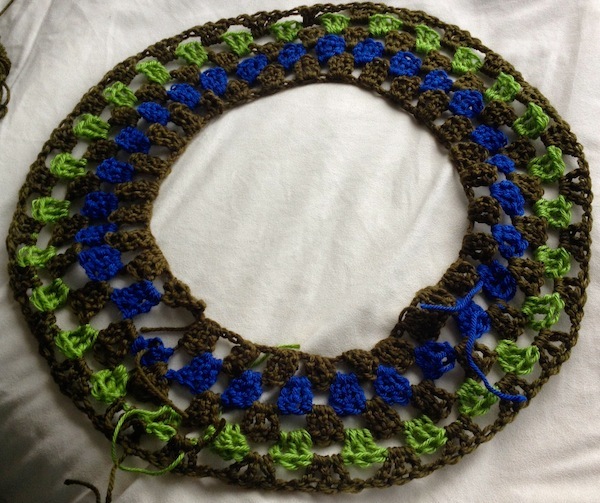 Although my first attempt at a Granny Rug was unpicked a total of TWELVE times, I got the hang of it so quickly. 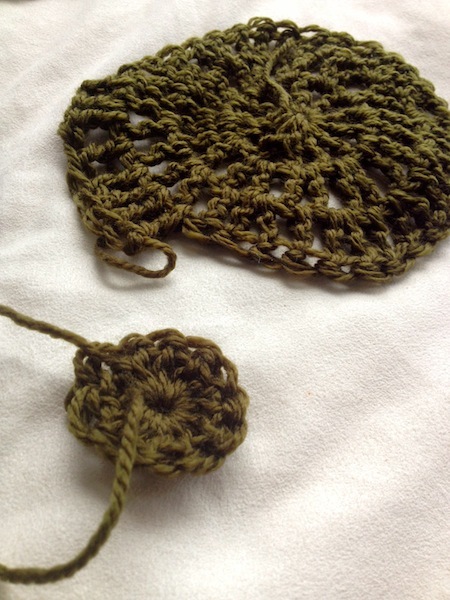 Crocheting is MUCH easier than knitting, and mistakes are super easy to spot and repair. So is changing colours. And so I started to crochet . . . .
. . . and crochet . . . The colours are horrid, but this is my practice version for a DRESS !!! And why am I attempting so many projects at once? 3. 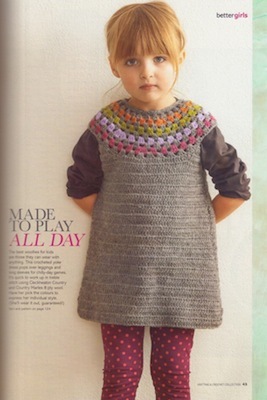 I want to try to learn and improve my knowledge of all the stitch ‘styles’. 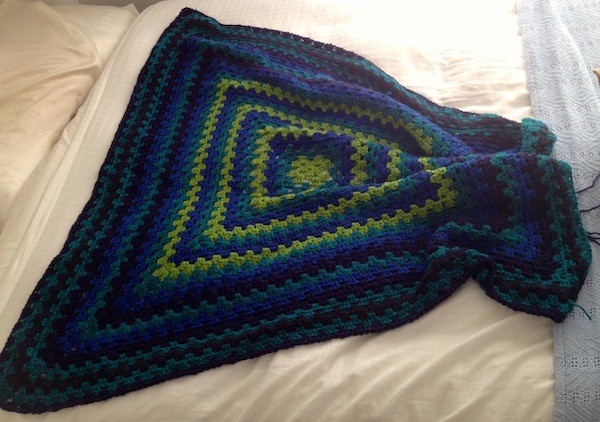 Check out what I want to learn to make . . . .
Would you like to try a little bit of crochet? Go on – I know you’ll love it. Let me know if you do, and perhaps even leave a link in the comments section so that I can see what you Create.